Parkinson’s Disease is the second most common neurodegenerative disease after Alzheimer’s disease and to date no real cure has been found. According to the Parkinson’s Organization, about a million Americans have Parkinson’s disease and there are about 60,000 new cases every year. Parkinson’s causes tremors, a loss of coordination and balance, rigidity in muscles and affects speech. 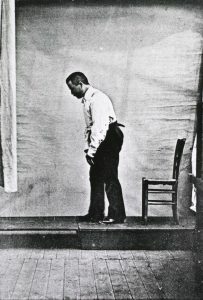 One of the characteristics of Parkinson’s is a peculiar kind of bent over shuffling walk called the Parkinsonian Gait. Aging is a risk factor for Parkinson’s and it is more commonly found in men than women unlike Alzheimer’s disease, which is found more in women. There are medicines and surgical procedures to help treat symptoms in seniors with Parkinson’s, but no way has been found to stop the chronic progression of Parkinson’s, which eventually leads to death. A recent study published June 5, 2018, in Cell Reports shows that a type of Vitamin B3 called nicotinamide riboside (NR) may be able to stop motor decline in Parkinson’s disease. Nicotinamide riboside prevents degeneration of mitochondria in nerve cells that are located in the substantia nigra, which is the part of the brain that is associated with Parkinson’s disease. The researchers discovered that dysfunctional mitochondria in dopaminergic neurons (nerve cells) prevent the production of dopamine in the brain and this leads to Parkinson’s disease. Most of Parkinson’s treatment consists of medicines to replace dopamine. Damaged mitochondria in cells are also linked to aging and Parkinson’s mainly hits seniors over the age of 65, although there is an early onset type of Parkinson’s that can strike younger people. The studies were done on fish and fly models, but human clinical trials will be needed to confirm that this research can be beneficial to humans. Interestingly, earlier studies showed that NR prevented glaucoma in mice and also improved Alzheimer’s symptoms in mice. See our blog post from February 15, 2018 about this form of Vitamin B3 that increased memory and learning skills in mice. See also our blog post from May 17, 2018, that shows that NR demonstrated anti-aging properties by regulating blood pressure and improving stiffness in blood vessels in humans. NR is a form of Vitamin B3 that is fairly well tolerated in humans and is not reported to have flushing as a side effect like regular Vitamin B3 Niacin. It is also called Niagen and is found in nutritional or brewer’s yeast and in small amounts in milk. Parkinson’s disease may progress to the point where the family of the afflicted senior need to consider long term care, either as assisted living or in a skilled nursing care rehabilitation facility. Parkinson’s treatment includes physical, occupational and speech therapy. Seniors suffering from Parkinson’s often have swallowing problems, which can lead to choking and aspiration of food and aspiration pneumonia. The speech therapist not only works with Parkinson’s patients with speech, but also must work with them on their swallowing problems. Royal Suites Healthcare and Rehabilitation on eight beautiful acres in Galloway Township, New Jersey, is a 5 star skilled nursing facility that is well suited for treating seniors afflicted with Parkinson’s. They have a higher rate of staff members per patient than other nursing facilities in their area, so that someone with Parkinson’s will get a lot of attention and care. Results of several studies show that nicotinamide riboside appears to have anti-aging properties that may offer hope to seniors suffering from neurodegenerative diseases like Parkinson’s and Alzheimer’s.